A retired colonel, who has been having an adulterous affair, is found dead, his head caved in, with the blacksmiths hammer left nearby. The police have several suspects, but can Father Brown, a visiting priest with a fondness for puzzles, solve the mystery? Father Brown is staying as the guest of a retired colonel when his host is found dead, stabbed with a narrow blade, but no murder weapon. The police inspector gathers all the suspects together, but Father Brown has the answer. 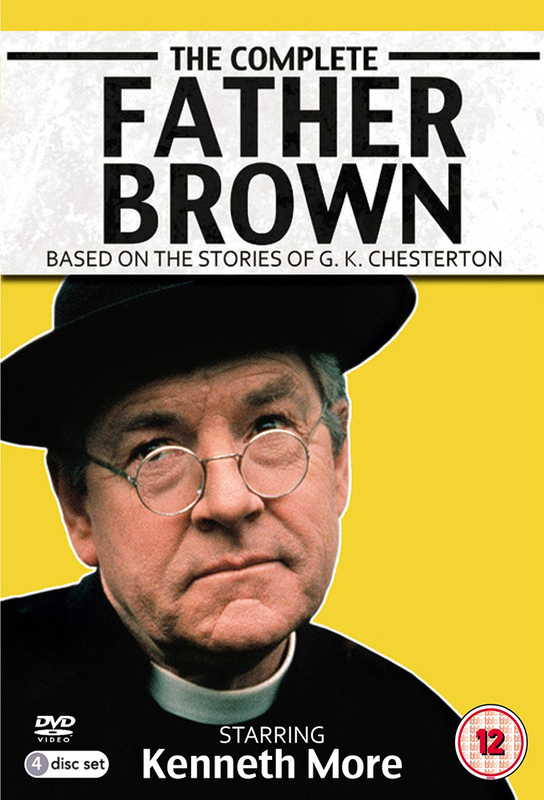 An American archaeologist confides in Father Brown that he fears for his life after a mysterious voice in a cave accused him of stealing a golden cross. A self-styled priest of Apollo persuades a follower to alter her will, then she falls down a lift shaft and dies. Father Brown suspects murder. Father Brown takes part in a radio discussion with a Scottish philanthropist, who is found shot dead the following morning. A controversial magistrate is shot and killed. A suspect is brought to trial, but Father Brown believes a broken mirror establishes the truly guilty party. A man who has dabbled in black magic calls Father Brown to confess his sins, but too late. Father Brown investigates when the mans sons start to die in suspicious circumstances. A theatrical manager is found stabbed to death in a locked room. Everyone in the company has an alibi, but Father Brown is determined to find the guilty party. Father Brown is staying at a country hotel and finds an eccentric stabbed through the heart in the hotel bar. Suspicion falls on a goup of travelling salesmen. Father Brown is staying with an old friend, who is killed, apparently while burgling a house. Brown tries to establish his friends innocence. Father Brown comes to the aid of a young woman who is being blackmailed by a mysterious man with a false nose. Father Brown comes to the aid of a man receiving threatening letters, but he is unable to prevent him from being killed with an arrow.